You know that amazing feeling when you try a new product, let's say shampoo, and your hair air dries perfectly, with waves you didn't even know you had and minimal frizz? Oh, you don't? Well, that's because you've never used a coconut milk shampoo! Seriously, I think I've found the missing link. And it's coconut. I have thick 2a hair with loose s-waves, a mix of medium and coarse hairs, and a tendency to frizz. My waves fall out really easily, and so I've been searching for products that will help them form better and keep my hair from pouf-ing too much. For a long time, it seemed like that was just too much to ask. But then I found Chagrin Valley Soap & Salve and their amazing Coconut Milk Shampoo Bar. I heard about Chagrin Valley through Crunchy Betty, and decided to give them a shot. They're a small, family-owned and operated business out of Northeastern Ohio. All of their skin and hair products are made from simple natural and organic ingredients, are cruelty free, biodegradable, and minimally packaged. Basically, they're awesome and you should take a look at their website. But, back to the shampoo bar. Holy cow! 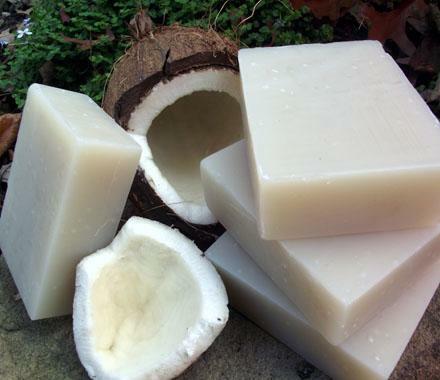 Coconut milk is known for fighting frizz, making hair soft and manageable, and even preventing hair loss. Washing my hair with that bar, even without using conditioner, made a huge difference in my hair. As in, I could actually let it air dry and it still looked good. Say what? And then I found Shea Moisture. I think we all know where this is going...I'm obsessed! After my last Shea Moisture post I went out and bought the Coconut & Hibiscus Curl and Shine Shampoo. And I fell in love all over again. 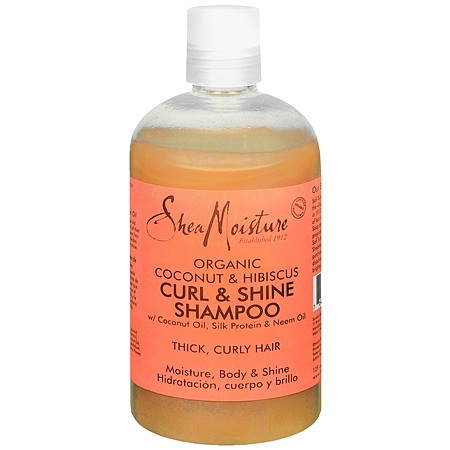 All of the curly hair products in Coconut & Hibiscus line contain coconut oil, silk protein, and neem oil. And those ingredients protect, strengthen, moisturize, and smooth the hair. Again, after using this shampoo my hair was soft, shiny, and noticeably wavier. And not frizzy! I also like to put some of the Curl and Style Milk in my hair while it's still damp and scrunch it up a little, for extra moisture and to help my waves dry nicely. These are the products I use right now and I haven't had to rely on a blow dryer in weeks. I mentioned some products that worked for me, but you can pick any coconut hair products that work for your hair, as long as the coconut stuff is near the beginning in the list of ingredients. (Otherwise you're probably wasting your time.) Some of you may need more intense moisture for really curly hair, so something like the Shea Moisture Curl Enhancing Smoothie might be good. Lush also has several coconut shampoos and conditioners like Curly Wurly, Trichomania, Big Solid Conditioner (great for fine, curly hair), and Coolaulin. And there's tons from other brands as well. For you crafty types, you can easily DIY your own coconut milk shampoo as well. Once you've opened your eyes to the world of coconut milk and coconut oil, you just can't go back. And I don't even like coconut! In fact, I hate the smell, taste, and texture but I got over it once I realized how awesome it is for your hair (and your skin, and your body in general). And if that's not a sparkling recommendation, I don't know what is!